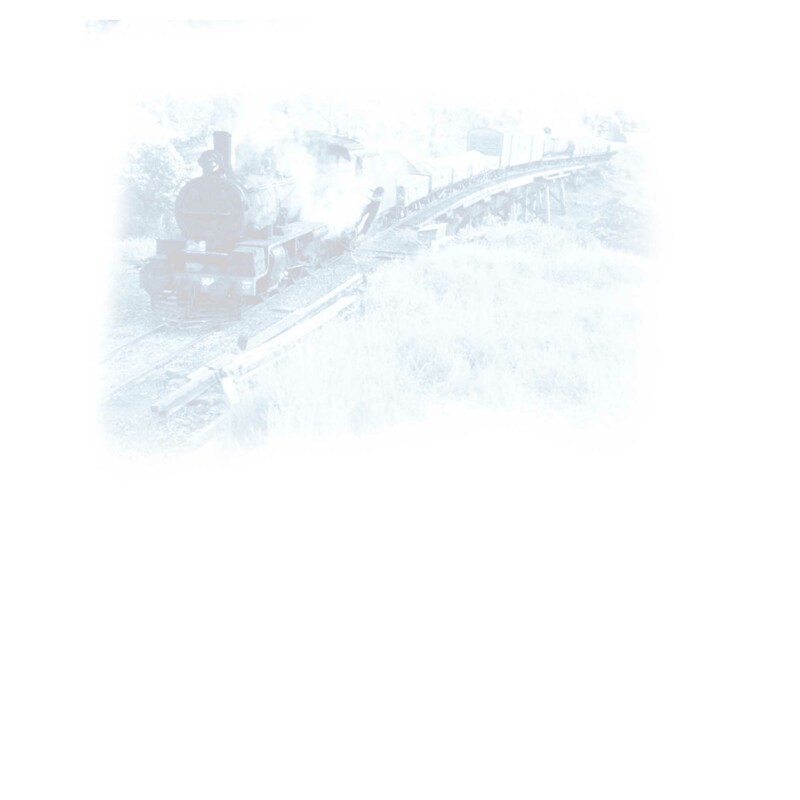 In volume 10, we open or archives wide to take you back to yesteryear with scenes on the Cairns Range showing the daily Kuranda tourist train and the Ravenshoe railmotor. There's scenes from transport week in 1981 with PB15 732 and C17 974 at Roma Street, Gloucester Street and Bowen Hills then tours in 1982 at Buranda, and the Sandgate Centenary. In 1964, 972 hauled an ARHS QLD tour to Marburg plus the Haden Railmotor, Roma Mail and a journey along the line from Oakey to Cooyar with views from on onboard and outside the railmotor. There's scenes at Oakey, Acland, Kulpi, Peranga, Narko, the Muntapa tunnel, Nutgrove, and Cooyar. There's scenes at the Ipswich Workshops and Corinda and a 1976 tour from Toowoomba to Oakey before taking a trip to Casino with 4418 in the lead. 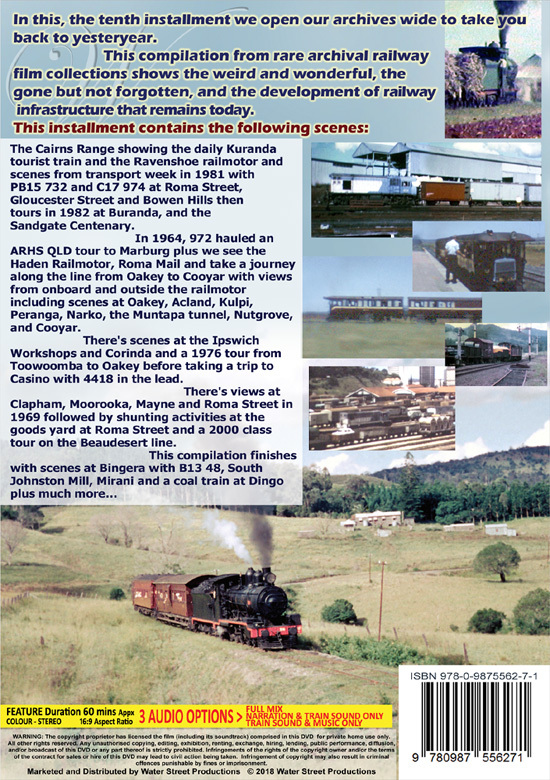 There's views at Clapham, Moorooka, Mayne and Roma Street in 1969 followed by shunting activities the goods yard at Roma Street before a 2000 class tour on the Beaudesert line and scenes at Bingera, South Johnston Mill, Mirani and a coal train at Dingo.